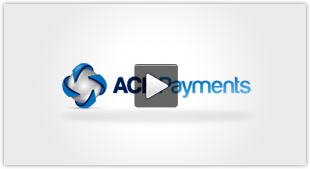 ACH payments lack the authorization component present with credit cards, which can be authorized at the time of payment to ensure that the customer has the requisite funds on their cards. This reserves the funds for capture and settlement, and allows a business to know that they are being paid at the point of sale. The lack of an authorization means that ACH Check Verification Providers are necessary to mitigate payment acceptance risk. The majority of the time payment rejects are accidents, and making customers go through the hassle of the sale process again will undoubtedly lead to a fraction of those sales being lost. By leveraging checking account verification tools businesses can reduce the chance of losing customers over simple data entry errors. Businesses that rely on future billing are especially vulnerable to bad check data, utilizing ACH Check Verification Providers can dramatically reduce bad check acceptance and the subsequent workflow problems. ACH Check Verification Providers will also make it easier for new customers to obtain correct or valid checking account information. Likewise, when that new customer’s payment fails because of bad checking account data there is financial loss and more potential for losing that new customer. This makes check verification tools even more important. A checking account verification system will help eliminate much of the “after the sale” work that arises when a payment fails, and can help save a sale. Businesses can significantly reduce payment acceptance risks by using check verification tools to verify that a customer has an active bank account with positive funds status in real-time. 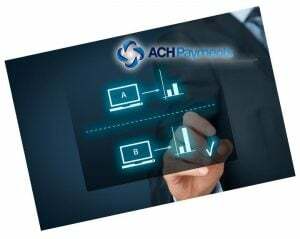 ACH Check Verification Providers allow merchants to reduce check acceptance risk at the point of sale (both online and in person). Available options include automated routing number checks, negative database options, and near real-time inquiries into current checking account status. Checking account balances inquiries can be made, but require the customer to log-in or provide credentials to their online banking system.